The network Bravo featured an episode of The South Bank Show from London Weekend Television not long after the movie Michael Collins was made. This program includes real footage of Collins, photos, movie clips, interviews with Neil Jordan, Stephen Woolley, Tim Pat Coogan, and many others. If you are working on any type of research on the life of Collins, regardless of how vast or how small it may be, I cannot stress enough the value of this program to you. For a long time after the original broadcast, I thought I would never see the episode again. But luckily and to my great delight, it is now available on the DVD version of Michael Collins. It is a wonderful broadcast with features not readily available in many books. The experts on the episode shed all kinds of light on the matter of Michael Collins the person, Michael Collins the film, Irish history, Irish politics and the workings of the modern-day IRA. Interestingly enough, the broadcast deals with the sticky subject of comparing Collins with the current leader of the IRA, Gerry Adams. It is not difficult to understand why some people are quick and eager to draw a comparison-- both men can be considered intelligent, persuasive, tough and capable of ruthless ambition. In terms of their differences, two commentators lent their views. The first was Ed Moloney, the Northern Editor of The Sunday Tribune who was put on trial in Northern Ireland in 1999 for wanting to keep his journalistic sources confidential. The second was Colonel Michael Dewar (whose views I have also included in the film section), an expert on counter-terrorism / counter-insurgency. 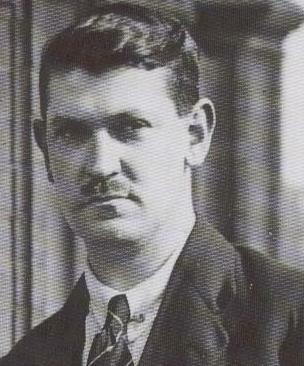 "Michael Collins was one of the leaders if not the leader of an organization which clearly at the time had the vast majority of support in Ireland as a whole, both sides of the border in fact, whereas the best that Gerry Adams could be described as realistically is a sectional leader within one part of Ireland albeit, one, a movement that is, that has sympathy elsewhere in Ireland. That's one major difference. The other, some people would argue quite strongly, is that Michael Collins actually won whereas the best that Gerry Adams got out of this was a scoreless draw..."
"I think Collins was much more in control, probably due to a clearer vision, due to better communications, due to also a much more intelligent sort of person involved in his fight. I mean, I think you get a lower grade―I'm not saying there are no intelligent people in the IRA today, I can think of some highly intelligent people in the IRA, Sinn Féin. Gerry Adams is one good example and there are many others, but an awful lot of their operatives are fairly low caliber people, criminals, quite frankly, and I think Michael Collins was quite careful to choose really quite bright operatives." Caller: "Some people have compared you with Michael Collins and I was wondering how you felt about that and did you regard it as a compliment. And if I could also ask you how you rated Collins due to the fact that he was only alive for thirty-one years and that he regarded the signing of the Treaty as what he said was the first real step for Ireland." Gerry Adams: "I think we're talking now about Collins with the hindsight of seventy years. I don't really, and this isn't through any false sense of modesty, see myself as a historical figure of that stature neither do I see the situation now in terms of Sinn Féin of that time and dealing with the British and Sinn Féin now which is a party which has to deal with all the other parties and with two governments. Having said that-- and I would never personalize, I know that people, you know, blame DeValera or blame Collins, I try to stay away from that. I certainly don't think that I would have signed that type of treaty but who's to know?" What better way to conclude this section than to pose that question again: Who's to know?